Stephen D. Counts is proud to be a Personal Injury Attorney and Trial Lawyer. Since 2004, Mr. Counts has worked on behalf of his individual clients against insurance companies, large corporations, and individual wrongdoers in matters involving serious and catastrophic injury and wrongful death. A recognized personal injury attorney throughout the state, Mr. Counts has tried numerous bodily injury cases to verdict and has individually collected more than $10 Million in verdicts, arbitration awards, and settlements on behalf of his clients. Mr. Counts has earned the reputation for thorough, creative, and aggressive legal advocacy. Most importantly, however, Mr. Counts is committed to the protection of every American’s right to trial by jury, as the most effective safeguard against the abuses and greed of corporations and insurance companies alike. As an active member of organizations such as Consumer Attorneys of Los Angeles and Consumer Attorneys of California, Mr. Counts considers his work as a Consumer Advocate the true centerpiece of his practice. Mr. Counts received his Bachelor’s degree in Political Science at the University of California at Los Angeles (UCLA) and received his law degree (Juris Doctor) from Loyola Law School in Los Angeles, where he was on the Editorial Board of the Los Angeles Entertainment Law Review and participated in the Trial Advocacy Competition. Mr. Counts has been a part of a significant number of high profile trials and has argued at the Appellate Court level on a number of occasions. It is rare for a Trial Attorney to possess the skill set to try a personal injury claim to verdict but then also be able to defend the verdict when the inevitable, most times frivolous, appeal is filed by an insurance company upset with the verdict that was returned. Just one example of that was the case of Olsen v. Reid (2008) 164 Cal. App. 4th 200, a published appellate case that has been cited by the California Supreme Court and which resulted in the successful reinstatement of a six-figure jury verdict in favor of the Plaintiff. Mr. Counts is a valued member of the Russell & Lazarus team and practices from its Newport Beach office. He lives in Brea with his wife and five boys and, in his free time, enjoys coaching Little League and playing guitar and drums on his church’s music team. As the testimonials included in the firm’s website attest, Mr. Counts is committed to maintaining an open line of communication with each and every client. 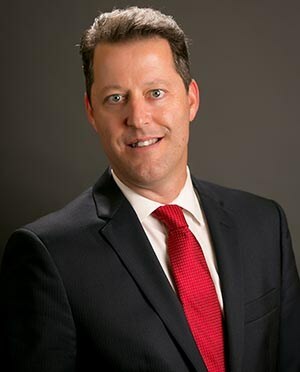 His goal is consistent with the mission of Russell & Lazarus, which is to assist in the healing process of each client he represents and obtain for his clients fair compensation. Should your case be accepted and assigned to Mr. Counts, you can be assured that Mr. Counts and the experienced staff of Russell & Lazarus will not only skillfully handle your case from start to finish, but will be readily available to communicate at every stage of the claim until a successful outcome is reached.